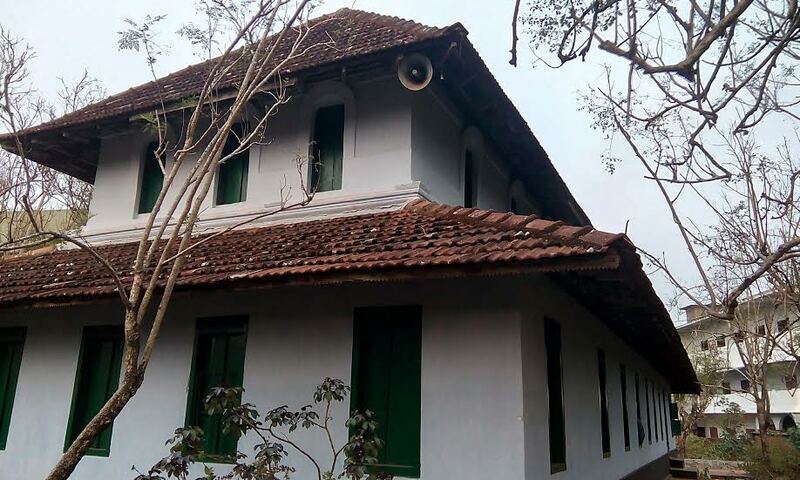 Malabar’s small hamlet, Tanur, is well known for its widely acknowledged glorious heritage. It has the legacy of a rich cultural past. It has been a cradle of various Sufi traditions and educational institutions of rare cultural dynamism throughout centuries. It is believed that the name ‘Tanur’ means the land of Thanni trees. The place was named Tanur because its walkways and pockets were thickly covered with Thanni trees once. This coastal area holds a huge collection of manuscripts in South Asia and has preserved its place in history as a beacon of culture and education for centuries. In 670 hijra, there was a vast Dars system of education organized by Imam Mohemmed Ibn Abdullahil Hathrami in Valiya Kulangara Masjid of Tanur. In this system, the local mosque became the centre of education and students came to live in the mosque and receive Islamic education. Unlike madrasas, Dars were run by the Imam of the mosque (sometimes helped by an assistant). Thereafter such a system of education extended to the nearby coastal areas. As a result, Tanur excelled in education and culture more than any other place in the coastal region. This education system incorporated traditional knowledge for a more refined sensibility. At a time when there was no significant press culture, the scholars relied heavily on barks and planks of trees to scribe. Quite surprisingly, Tanur residents translated Amir Khusro’s collection of allegorical stories in Persian, “Ghasseh-e Chahar Darvesh” (The Tale of the Four Dervishes) into Arabic-Malayalam and scribed it on planks even before “Indhuleka”, the first Malayalam novel, was widely read by Keralites. After Zainudheen Makhdum’s Thuhfathul Mujahideen, Tanur witnessed the birth of Aminummantakath Pareekutty Musliyar’s Muhimathul Mu’mineen that ignited Muslim youth in the Malabar region to take part in the freedom struggle against the British. Since the book inspired the youth into revolutionary acts, it was banned and later five years of imprisonment were handed down to those who kept a copy of the book. The library in Tanur holds manuscripts and miscellaneous collections of various other books. Reliable and ample documents of vaqf are available even today that refer to the manuscripts of Imam Abu Ishaq Al-Shirazi’s book, Tanbih. Historical sources point out that it was bequeathed to Tanur Masjid in 675 AD as Masjidu Sahilil Birkhathul Kubra. It is also mentioned in it that the book was finished only by 806 AD. A lot of scholars and history lovers were attracted to see the wonder of this huge collection of old manuscripts. It contains the manuscripts of most widely known and taught books in and out of Kerala such as Zanjan, Fathul-Mu’een, and Alfiya, along with conventional books like Swahihul-Bhukari, Swahihul-Muslim, Baithavi, Thuhfa, Ihya Uloomudin. These books are written in black, red, and blue inks. 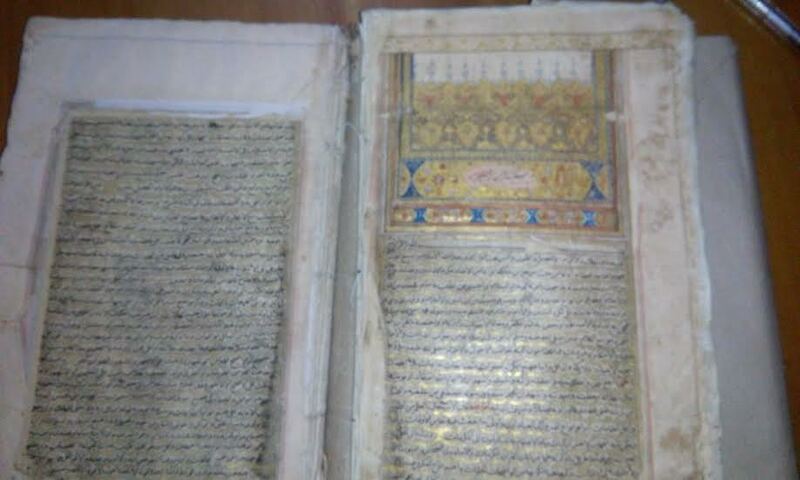 Imam Navavi’s golden-inked Roudathu-Thalibeen is one of the oldest and most admired manuscripts in this library. The book of Arabic rhetoric and eloquence, Khamusul Muheeth, was written in 1902 hijra. Both of these golden-inked manuscripts make the library amazingly rich. The manuscript of renowned Muslim scholar, Shihabudheen Ahmed Ibn Hajar al-Haytami’s Al-Imdad is preserved in Tanur and Istanbul alike. This collection includes manuscripts of Sheikh Zainuddin Makhdum’s Tuhfatul Mujahideen (the first ever written history of Malabar), Fatawa-e-Aalamgiri (which was commissioned by Mughal Emperor Aurangzeb as an authentic text of Hanafi school of jurisprudence), Qadhi Umar’s Makasidu-Nikah, Thafseerul–Jalalaini of both Imam Suyuthi and Imam Mahali, Ahmed Shihabudheen Ibn Naqeeb’s Umdhathu-Saliki Wa-Udhathu-Nasik, Pangil Ahmed Kutty Musliyar’s Khisathu-Cheraman Perumal and many other books, which are covered in animal hide. These manuscripts are preserved in the library of Islahul Uloom Arabic College, which is located near Tanur Valiya Kulangara Masjid. Many sufis and schoalrs like Mamburam Sayyid Alavi, Owkkoya Musliyar, Yusuful Fadhfari, Shamsul Ulama E.K. Abu-Backer Musliyar, Niramaruthur Biran Musliyar, Veliyampuram Saidalavi Musliyar had mentioned this tremendous cultural dynamism of Tanur. All of them contributed to the intellectual and cultural renaissance of the region. The library also contains many holy manuscripts such as Thafsir, Hadith, Thaswavuf, Fundemental Jurisprudence, Fiqh and Tariq, both published and unpublished. In the genre of Thafsir, there are two or more manuscripts of Tafsir al-Jalalayn, co-written by Imam Jalaludin Suyuthi and Imam Jalaludin Mahalli. Imam Sulaiman Ibn Umarul Ajeeli al-Jamal’s Al-Futhuhathul Ilahiya, which is known as Thafsirul Jamal, and Thafsiru Jamiul Bayan of Imam Mu’een Ibn Saffiyy, who wrote this at the age of fourteen, are preserved here. During a crucial phase in history, sufi texts and spiritual lessons led Tanur’s coastal areas towards vast spiritual purification and revivalism. The library’s chief attraction is Imam Ghazali’s Ihya’ul Uloomudin, which is copied in black, red, green, grey and yellow inks by Aliyyu Ibn Hasan, who lived around 1264 hijra. Other available manuscripts include Zainudheen Makhdum’s Murshidu-Thalab, excerpts from Imam Navavi’s renowned, Adkar (written by Mohmmed Ibn Umar Ijn), Asraru Nabaviya Fi Iqthisadi Adkari-Nabavvi, Bahjathu Nufusi Wal Akhlaki Fima Thamayaza Bihil Qoumu Minal Adabi Wal Akhlak. The famous sufi scholar, Pangil Ahmed Kutty Musliyar, lived during the peak of Tanur’s renaissance and was a prominent leader of Samasth Kerala Jam’yathul Ulama. His works are regarded extremely important because they record the reforms in his society. He worked hard to build Tanur’s Islahul Uloom Arabic College, an alternative to Bakhiyathu Swalihath, and contributed greatly toward its growth. Kutty Musliyar’s literary skill was widely acknowledged. Some of his major works include: Afahathul Jaleela (used for extolling Mamburm Sayid Alavi’s glorious personality), Athuhfathu Rabi’ya (about Prophet Muhammad’s personality), Al Khaseedhatul Quthubiya Fi Madhi Gousul Barriya (about Gousul Aa’lam), Al Manhalu- Ravi, and Nahjul Qaveem. Fazil Firoos studies at Maulana Azad National Urdu University (MANUU), Hyderabad, India. Well done and my hearty congrats to fazil and this blog….